Check our website for all of our upcoming events and packages. Vic Bourassa, Owner of Bourassa Vineyards has partnered with the White Mountain Hotel & Resort to bring you a spectacular wine weekend featuring a Friday night welcome reception, Saturday cooking demonstration, and Saturday evening 5-course wine dinner that will feature California cuisine paired with local and sustainable New England produce. All paired with Bourassa wines of Napa California. This weekend is sure to be a sell out, so book early. Beginning on September 27th the Ghoullog returns to Cranmore Mountain for haunted weekends that are sure to be a thrill! Enter the 7th season of the Ghoullog at Cranmore Mountain and this year each ticket includes a single ride ticket to ride the chairlift for an unforgettable ride in the dark – that’s if you make it out of the Mercer Home. Two night lodging, one Ghoullog ticket, one breakfast on Saturday and Brunch on Sunday. Available Weekends: September 27 through November 2nd. Ladies start your engines and get ready to “Shop till you drop!” with this great shopping package. Call your sisters, girlfriends, moms and aunts to book on this great girlfriends getaway. Enjoy the tax-free outlet shops and special boutiques that North Conway has to offer. Get your holiday shopping complete all in one weekend, while enjoying all the Resort has to offer with on-site massage, Finnish saunas, workout facilities, outdoor heated pool and Jacuzzi, fine dining and the cozy Tullamore Tavern. Join us this Thanksgiving holiday and leave the cooking to us with one of our many Thanksgiving packages. Kick off the holiday season with your family and friends in a traditional New England setting. All packages include our very popular Thanksgiving Dinner featuring traditonal roasted turkey, several other entree selections and homemade specialties. Reservations for Thanksgiving dinner must be made at time of room reservation. Call for Details and to book. We look forward to your next visit with us! Family Friendly, Food in the Valley, Mt Washington Valley, Summertime Fun in MWV! Summer News From Mountain View Grand Resort and Spa! There is no better time to begin planning your next vacation to the White Mountains. Whether you are looking for a Memorial Day Weekend getaway, a Fourth of July celebration, or your family’s next summer vacation, we have created a number of packages that are sure to fit your needs. Please refer below for some of our highlighted offerings, such as the popular Santa’s Village Package and Unlimited Golf Package. To book your next stay with us, or if you have questions, please contact a Guest Advocate at 877.934.7740. We look forward to seeing you soon! Fourth of July will be here before you know it and we are planning a fantastic celebration. From fireworks and the Fourth of July Carnival, to cardboard boat races and our annual barbecue. Enjoy the great outdoors this summer with the entire family! Package includes Santa’s Village tickets, Discovery passes to the Flume Gorge and Cannon Aerial Tram, and breakfast each morning. Visit Santa and his merry elves this summer! Rides, festivities, water park and much, much more! Package includes Santa’s Village tickets and breakfast each morning. Watch spring unfold in the picturesque White Mountains of New Hampshire. For a limited time, save up to 40% off and enjoy a $30 resort credit. Additional terms and conditions do apply. Escape to the White Mountain for a romantic spa retreat. Package includes couples Tower Sök Tub, Swedish Massage Treatments, and much more. Package savings of $150. We’d like to join TripAdvisor in congratulating Buttonwood Inn on Mount Surprise on earning the prestigious 2012 Certificate of Excellence award. Travelers consistently commend your property with the highest praise, and we recognize your 5 rating as an exceptional achievement. Bartlett, NH – Alissa Whittle has been named the new General Manager of the Attitash Grand Summit Hotel & Conference Center. 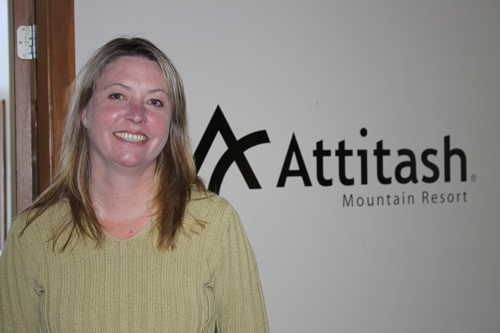 Whittle has previously served as the Attitash Grand Summit Hotel Lodging Controller for more than four years and she has over 15 years of resort hospitality experience including prior positions in her native California as well as Alaska and Maryland. “I’m very excited that I have been given the opportunity to continue and add to the quality and guest experience at the Attitash Grand Summit Hotel,” said Whittle. The Attitash Grand Summit Hotel & Conference Center offers the only slopeside lodging in the Mount Washington Valley and can accommodate conferences, weddings, and group meetings among its natural setting. 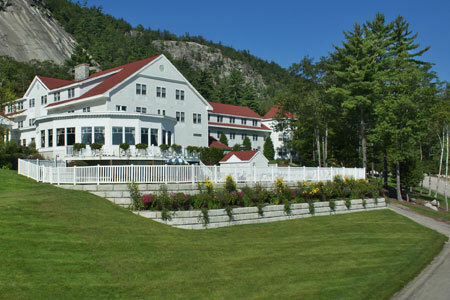 The hotel offers143 guest rooms that vary from spacious standard hotel rooms to multiple bedroom suites with full kitchens; 11 fully-equipped, air-conditioned meeting rooms including the 5,300 square foot Grand Ballroom with built-in stage; and a year-round outdoor heated pool, health club, and full-service restaurant among its amenities. Attitash Mountain Resort is the original summer fun ski area in the Mount Washington Valley offering the original Alpine Slide, year-round mountain coaster, waterslides, lift-service downhill mountain biking, scenic summit chair ride, and more. Located in the Mount Washington Valley, Attitash Mountain Resort is considered New Hampshire’s premier year-round vacation area and has been ranked amongst the East’s top ten ski resorts for snow, grooming, weather, dining, après ski, off-hill activities and family programs by readers of SKI Magazine. Offering two distinct mountains, Attitash and Bear Peak, and one of New England’s most advanced snow making systems, Attitash is known for its signature terrain parks, ski school & children’s programs, open-glade terrain, après entertainment, family value, the new year-round mountain coaster attraction, and quality slopeside accommodations featuring the Attitash Grand Summit Hotel. For further information, please visit www.attitash.com or call 1-800-223 SNOW. Availability is limited and some restrictions do apply so book your summer vacation today and SAVE! RESTRICTIONS: Offer is based on availability at the time of booking and is valid on NEW reservations only. Valid on stays between July 1, 2012 and August 31, 2012 ONLY. Blackout dates are July 3 and July 4, 2012. These dates are not available for this promotion. All reservations must be paid for in full at the time of reservation. All reservations must be made between 7:00 am on March 23rd and 11:00 pm on March 30th. Discount is applicable on published retail rates only, and cannot be combined with any other offer, discount, promotion or sale. Not valid for Groups. Cancellation for ANY reason will result in a charge of 50% of the total reservation. Friday and Saturday night stay is required on all weekend reservations. Free breakfast promotion does not apply.